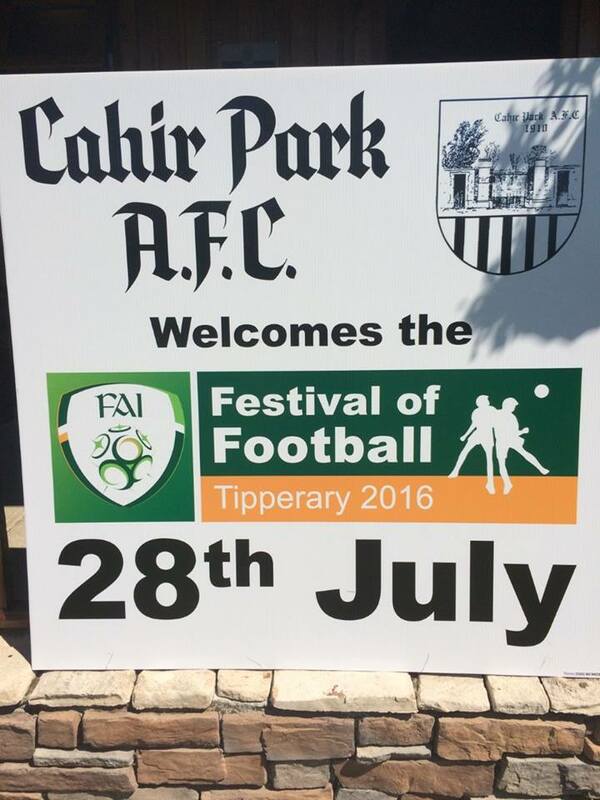 Cahir Park AFC will welcome the FAI Festival of Football to the club today from 4:50pm. This will coincide with our Gregg Cup Underage tournament and a Cahir Footballforall session also. Activities for kids also available from 3pm-6pm. Loads of fun games, matches, music, food, bouncey castle and the Gregg Cup plus much more.. Everyone welcome.